Call or email us for a free consultation about your boat dock and pilings and posts! 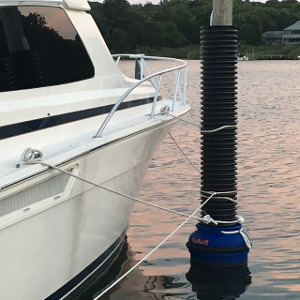 Pilemate turns any piling or post into a vertical dock bumper guard that floats with the tide. Our simple, no maintenance design provides convenient and dependable use year-round. Pilemate will protect your piling or post from ice jacking. If you incorporate our dock bracket system on your existing fingers and floating dock you will totally protect your boat and your docks. Whether you have a floating dock or mooring pilings, Pilemate has literally got you covered. Quite possibly the only protection you will ever need for your boat slip. Newsday Article on this winter’s frigid weather damaging many docks and marinas on Long Island. Your alternative to boat and yacht bumpers, fenders, covers, and guards for marina dock posts! Pilemate's patented system gives you a marine dock or slip bumper system that will protect your boat during tide changes and storms. Pilemate is a tide boat mooring system that will shield and guard your boat better than any fender or cover system on the market. Our dock post protection system for your boat will provide protection from rubbing on the pilings and posts. 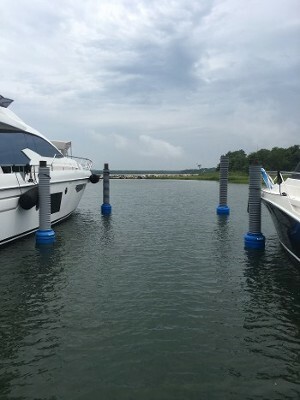 Our boat dock floating post covers look great and can be ordered in colors to match your boat. 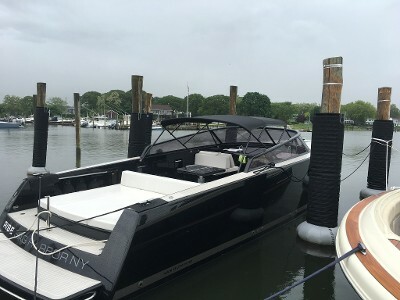 Our vertical pile/post boat dock system has a ten year guarantee on all parts and is designed to outlast any other marine dock bumper system on the market. Our heavy duty marina-grade mooring system is designed to prevent ice jacking, to allow your boat lines to stay tight during all tide changes. They never need adjustment or maintenance! Send us your berth dock specifications and we will custom build your post pile system for you. We will also deliver and install in your slip. Contact us today for a year-round, worry-free solution for your boat, pilings, posts, and docks. This photo shows the proper way to tie-off your boat before a storm with our patented pilemate system. This system will outperform any other boat slip protection on the market. Your boat will be protected all year round.